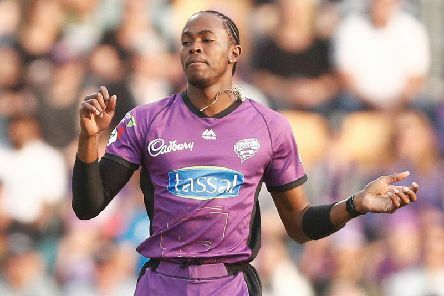 Former England stars Michael Vaughan and Darren Gough have led the calls for the uncapped Jofra Archer to be picked in the World Cup squad. The Football Association is re-launching its adult male retention-focused funding scheme to support men’s 11-a-side community football teams across the country. 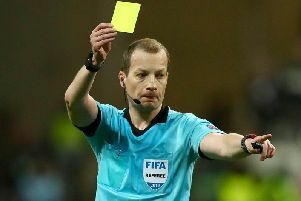 Sin bins will be used throughout the Southern Combination League next season with The FA announcing plans to use the in-match punishments at Step 5 and Step 6. 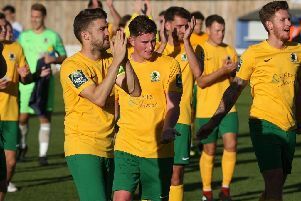 Steve Metcalf's dramatic injury-time equaliser saw Horsham earn a deserved share of the spoils in a intense Bostik League South East play-off encounter at a sodden Culver Road this evening. 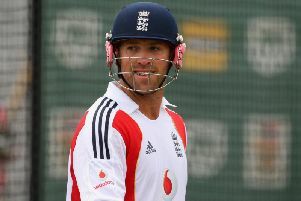 Former England and Sussex star Matt Prior will be tackling the gruelling Tour de France route in July to raise money for charity. 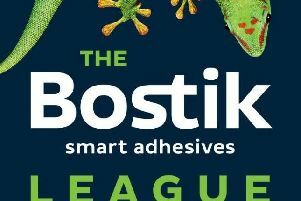 Winning the play-offs will not guarantee promotion this season with two of the triumphant Bostik League sides facing the heartbreak of NOT being promoted. 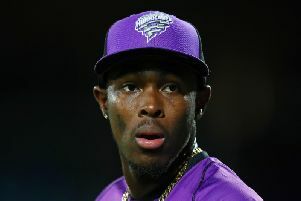 Do you know a local sport star worthy of a Sussex Sports Awards nomination? 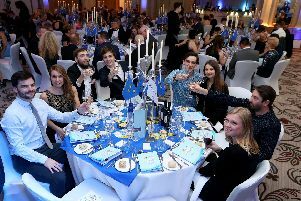 Do you know a local sport star worthy of a nomination for the 2018 Sussex Sports Awards? - Don't delay as time to nominate is running out. 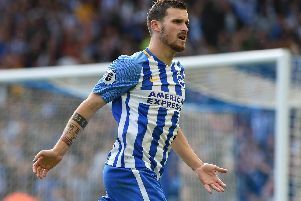 Pascal Gross has been rewarded for a sparkling first season in the Premier League with a one-year contract extension at Brighton & Hove Albion. 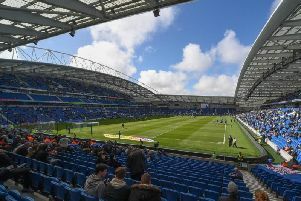 Brighton & Hove Albion have announced part of their pre-season friendly schedule ahead of their second season in the Premier League. 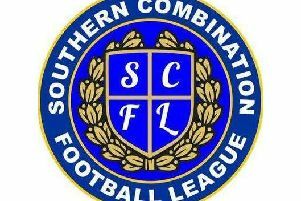 The constitution of the top division in the Southern Combination League have today been annouced within the club allocations for Step 5 and 6 of the National League System. 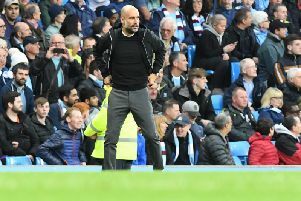 Pep Guardiola recalled the glorys days of Liverpool in the 1980s, Sir Alex Ferguson's dominant 90's Manchester United side, Chelsea under Jose Mourinho and Arsenal's invincibles as he saw his Manchester City side break records at the Etihad this evening. 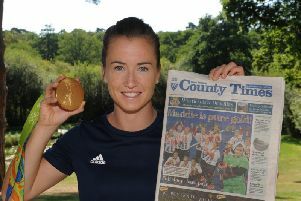 Sussex's Maddie Hinch has added another sparkling accolade to her collection by being named the best female goalkeeper in the world for the second year running. 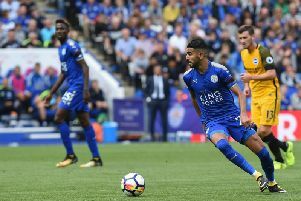 Wantaway Leicester City winger Riyard Mahrez has been praised for letting his football do the talking as he played a starring role in their victory over Brighton & Hove Albion. 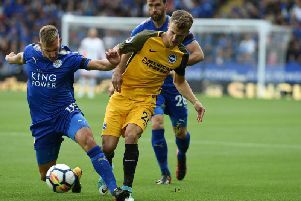 A threatless Brighton & Hove Albion suffered disappointment in their first away day in the Premier League as they well-beaten by Leicester City at the King Power Stadium. 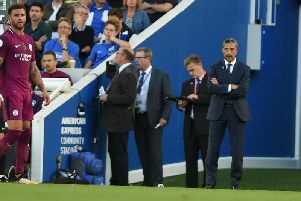 Chris Hughton is relieved the spectacle of Brighton & Hove Albion's Premier League bow is out of the way and they can concentrate of masterminding their survival. 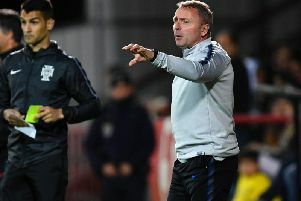 Pep Guardiola says his Manchester City side being labelled Premier League title favourites again means nothing after Chelsea 'killed them' in the race last season. 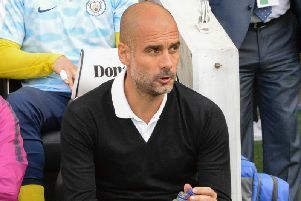 Manchester City manager Pep Guardiola believes 'well organised' Brighton & Hove Albion have the quality in their squad to survive in the Premier League. 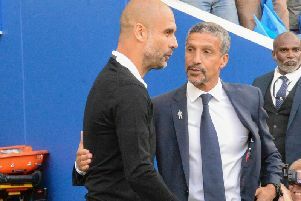 Chris Hughton admitted he took more positives than negatives from Brighton & Hove Albion falling to an opening-day defeat to title favourites Manchester City. 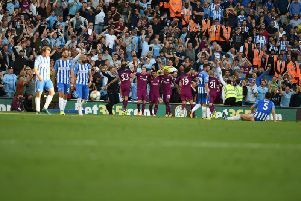 Brighton & Hove Albion's return to the Premier League ended with an opening day defeat against title favourites Manchester City.